· To be active in international cultural exchange . · To act on behalf Afghan living in Ireland. · To support Afghan refugee and asylum seekers . · To publish a regular newsletter in English. · To establish cultural links with all organization in Ireland and a broad. · To assist and advise organization who run projects in Afghanistan. · The community supported Afghan refugee and asylum seekers when they felt a need. · The community established links with more than 70 organization such as NGO and governmental organization. 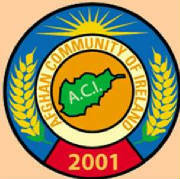 · The community ran a number of New Year festivals for Afghan and Irish guests. · The community ran a number of calligraphy and miniature painting, photographic and craft exhibitions in Ireland. · Due to the invitation of the Irish festival team, the community performed a number of concerts in Ireland. · The representatives of the community are contributing a number of government and nongovernmental organization conferences and meeting every year. · Members of the community have taken part in the research of Ireland and have supported student research. · The community contributed a number of media programs regarding the life and experiences of refugees. · The member of the community had a number of media interview with National Radio, Morning Ireland, prime times , FM south, Near Fm , RTE 1 – 2- 3 and with the paper such as sundry world, Sunday tribune, Sunday independent, Mirror, Galway press, Galway advertiser, Metro and supplying articles. · The community compiled and published booklets, leaflets, newsletter, brochures, and books.